Liverpool was once the world's second and the the UK's largest seaport. The City was also a major manufacturing hub and thrived with the industrial revolution. Since World War II the decline of industries and shipping adversely affected the City causing its population to drop from 850,000 in 1940 to 450,000 today. However, the metropolitan area has seen its population increase to 1.5 million inhabitants. When Liverpool was at its height as a shipping port the docks were chronically congested and by the turn of the twentieth century a solution had to be found. 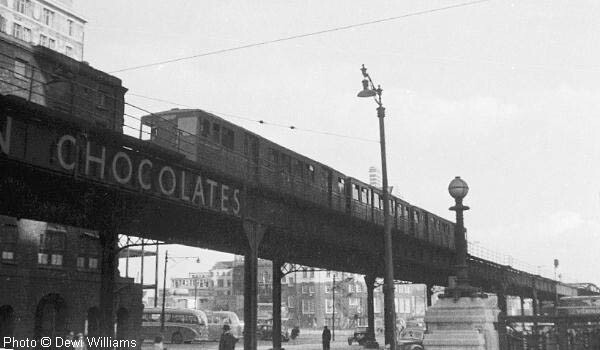 An elevated metro system was forwarded as an efficient way to move workers about the docks while leaving traffic along Dock Road relatively unimpeded. Plans were drawn up using New York's pioneering elevated trains as an inspiration. The new system, the Liverpool Overhead Railway (LOR) would introduce several innovations not found at the time on New York's Els. The LOR would be electrified from the onset, making it the first electrified elevated metro (ahead of Chicago) and it would also feature a pioneering automatic signalling system. New York's and Chicago's elevated networks have trackbeds where debris and other material can fall from passing trains, this was deemed unacceptable with the expensive cargo and number of workers passing beneath the line, therefore the trackbed was made waterproof. This waterproof character gave the system the nickname, the Docker's Umbrella, since it provided shelter when it rained for the many dock workers (Dockers as they were nicknamed). The LOR opened in 1893 making it the world's fourth oldest metro behind London's Underground, New York's El and Chicago's L. This system served primarily the dock estate and only ventured away from the docks at its two extremities. The southern extremity also featured a tunnelled portion including the lines southern terminus, Dingle, which was its only underground station. To the north the system connected to the Lancashire & Yorkshire Railway, which had been electrified with a third rail system in order to allow reciprocal operation between the two lines, though this was relatively short lived. The line was extended three times after the original segment opened in 1893. Additionally several stations also opened and closed during the lines history. The line at its height measured 7 miles (11.4 km) in length and included 17 stations. The railway originally ran two-car trains, later three-car trains were ran though some two-car trains were also operated. Finally, all trains were standardized to contain three cars and this was continued until the line was closed. By 1918 the line had ordered all the rolling stock it ever would, but by W.W.II the trains were getting old. Since the line did not have money to buy new stock they completely overhauled some train sets making them seem as if they were brand new. These overhauls taxed the finances of the cashed strapped company and the decline of industry and shipping in Liverpool with the war's end only exasperated the situation. By the 1950s the deteriorating line required the entire trackbed to be replaced which would have cost millions of pounds, a sum the company could not possibly afford. Despite some attempts by local politicians the LOR could not be saved and on December 30, 1956 the line closed. It was not immediately torn down in the hope that something could be done to save the line, but finally in September of 1957 demolition began. 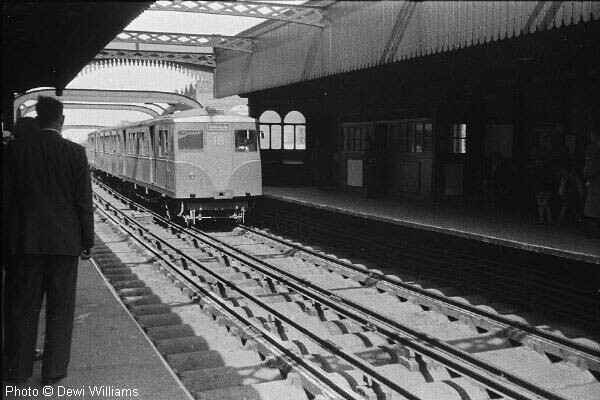 Liverpool had abandoned its only metro system and would only have some sort of metro service restored with the opening of the Merseyrail Electric lines in 1977-78, which is not a true metro, but rather a metro-like system. Thanks to Dewi Williams for the photographs! This page was only possible with the help of Eric Peissel!